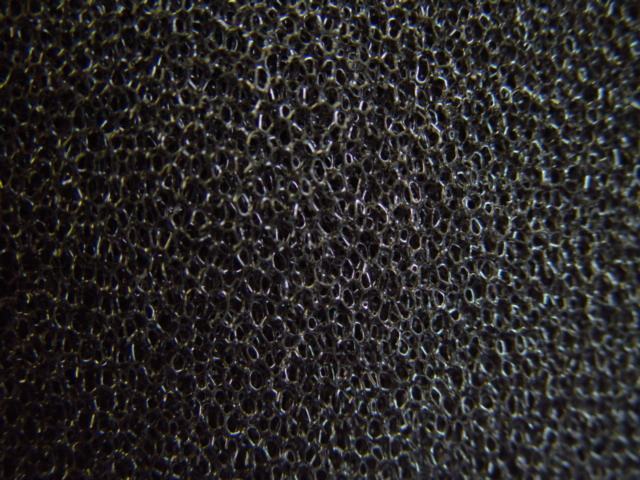 The Traits, Differences, and Applications of Ester and Ether-Based Polyurethane Foam – Foam Factory, Inc.
To say something is “made of foam” likely produces one of two mental images of the material; the white polystyrene seen in drinking cups, coolers, and packing peanuts, or the squishy, spongy material that makes up foam footballs and polyurethane sheet packaging. These are both correct obviously, but as is true with many things, there is more than meets the eye with foam. Familiar, open-cell polyurethane foam is actually divided into two categories, ester-based polyurethane and ether-based polyurethane. If two samples were placed next to each other, the untrained eye would have difficulty deciphering any differences. But while similar enough to be leaves on the same branch of the urethane foam family tree, there are slight differences in these two unique materials that make each suitable for specific applications. On a structural level, both materials are urethane polymers, which results in their similar appearances and feels. A very versatile compound, slight changes in additives to urethane polymers can result in the material forming hard plastics, soft foam products, or anything between. While having some shared and some contrasting additives, the biggest difference in the two polyurethanes are their bases; polyether triol and polyester, in the ether and ester foams respectively. Through chemical reactions, these mixtures expand and eventually form the foam materials we recognize. Ester-based polyurethane is the older of the two formulations, being developed full-scale in Germany following World War II. The material was in early development stages before the war, but the need for resources limited testing and production. Ether-based polyurethane soon followed, and, particularly through formulations that created hard plastics, revolutionized the textile world. Today, ether-based polyurethane is more prevalent in foam products because the raw materials required to create the product cost less than ester-based polyurethane. Ether-based foam also has better moisture resistance against hydrolysis, the breakdown of molecules in contact with water. However, ester-based polyurethane still has unique qualities that surpass the performance of ether-based foam in some applications. While still soft and compactible, ester-based polyurethane is slightly more rigid and supportive than its ether relative. This is a result of smaller cells being created during the forming process. While still open-celled, these tiny bubbles have less surface area to bend and flex than the larger ether-based cells. This produces a slightly better shock absorbing material out of the ester foam, which is one reason it is often used in charcoal packaging foam. That shock absorption, combined with a firm but supportive structure, secures items in transit or storage while diffusing any energy created by impact. 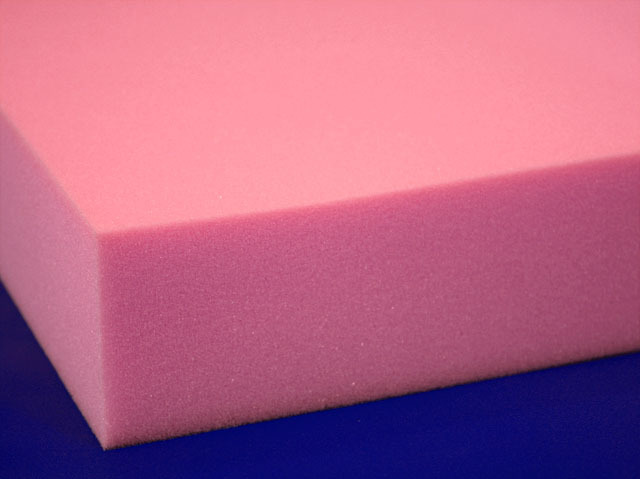 Its excellent packaging qualities lend it to being treated with agents to create the pink Anti-Static foam that dissipates electro-static charges in sensitive electronic equipment or instruments. Because of its rigidity, ester-based polyurethane is also used for cleaning applications in sponges and mops. The tensile strength and durability of this product is also greater than its ether counterpart. Ether-based polyurethanes on the other hand, are more flexible, better in wet environments and more affordable to produce for the most part. 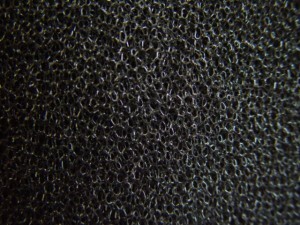 Ether foams have larger cell structures than ester, which allow greater airflow and moisture permeability. This makes ether-based foams perfect for speaker foam, aquarium filter media* or filter foam or where air must be able to flow readily while still safeguarding delicate components. Ether-based foam is also developed into Dryfast foam, featuring a very large cell structure that allows the flow of water through its form, which can be quickly air-dried. This foam is particularly useful for marine cushions in boats or patio furniture cushioning, where the environment impacts the products. Softer and smoother than ester-based polyurethane, ether foams are more frequently used in situations where materials may come in contact with its environment. Colored polyurethane foam sheets for acoustical foam are an example of this. Currently, all of Foam Factory’s open-cell polyurethane products are the ether-type because of its greater versatility. *Always test filter media before installing in an environment with aquatic life. Foam Factory’s Filter and Dryfast Foam has not been tested for use in aquariums.